The Belle of Cincinnati is described as being a “majestic and ornate beauty,” by her owners. POINT PLEASANT — The Belle of Cincinnati is returning to Point Pleasant for a dinner cruise. 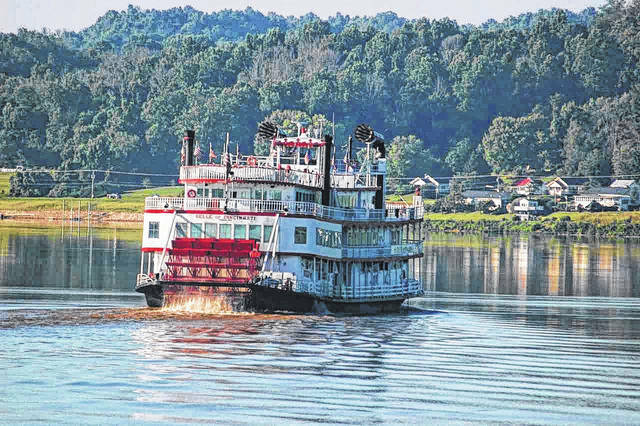 It’s that time of year when the Point Pleasant River Museum and Learning Center welcomes the Belle for a night of dinner and entertainment along the Ohio River. The dinner cruise is set for July 30, with boarding at 6:30 p.m. and departure at 7 p.m. from Point Pleasant Riverfront Park. The vessel should return to the park around 9:30 p.m. that night. A buffet-style dinner is planned as is a performance from Sam Stephens, the one man band. Tickets are $50 for adults and $30 for children ages 4-12. This cruise is also handicap-accessible for those with special needs. https://www.mydailytribune.com/wp-content/uploads/sites/42/2018/06/web1_0615.Belle_.jpgThe Belle of Cincinnati is described as being a “majestic and ornate beauty,” by her owners.